Forming and maintaining successful business relationships takes time, understanding and introspection. And while we’re sure any intranet provider you ask would love to tell you all about their services, choosing a lasting and reliable vendor should be about more than just modules and features. At MangoApps, we believe in fostering open communication and productive relationships between businesses, vendors, employers, coworkers and anyone else in the business world. So it only makes sense to pass on our intranet vendor expertise. 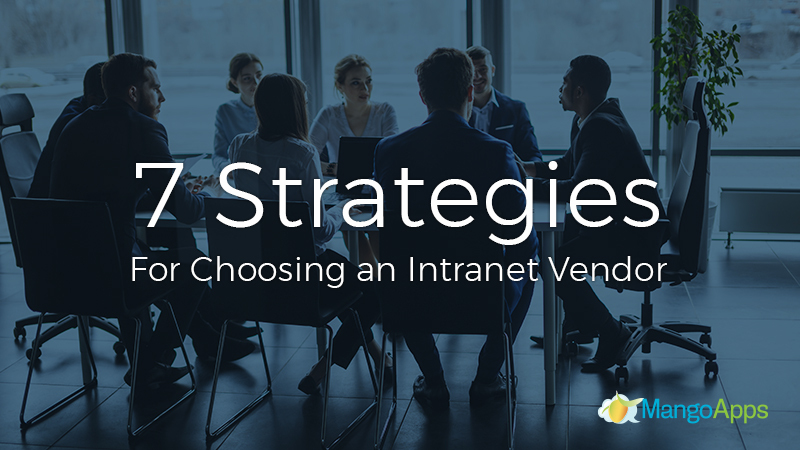 We’re excited to share with you the top 7 strategies for choosing the best intranet vendor for your business. It’s almost impossible to find the right intranet vendor if you don’t have at least an idea of what you’re looking for. Before you start talking to vendors do a little introspection and think about what your main intranet focuses and goals are. It’s also a good idea to briefly familiarize yourself with basic intranet options such as on-premise/SaaS to help you communicate with vendors and understand how intranets can assist with your current goals and strategies. Intranet can feel intimidating, but setting goals and gaining a starting knowledge goes a long way. You’d never walk up to a car salesman and just tell him or her that you need “a car.” A Tesla Roadster, a Ford F-150 and a Chevy Cruise are all great vehicles, depending on the kind of work you want to do. You don’t have to be a mechanic to buy a car so don’t feel like you have to become a software engineer to purchase intranet but identifying your company needs is a big key to success. It’s easy to get caught up in seemingly endless options and possibilities but if your intranet is going to be successful you have to keep the end user in mind. Are the features what your employees need, will they be easy to understand and will they integrate well with your business style? Every business and every profession has their own unique work styles and preferences and a profitable intranet needs to accommodate and increase those behaviors. For example, artistic professions generally work in a less rigid space. Ideas tend to come unexpectedly so projects often start quickly and finish slowly over time. Intranets for this type of work need to be fluid, adaptable and accessible at all times. In contrast, an accounting firm works very systematically and benefits more from rigid structure and organization. It might take some reflection to understand your company’s style but doing so will help you select an intranet vendor that builds on employee work habits and rather than forcing them to adopt new ones. A good intranet should be almost instinctual. While you will, of course, need a basic introduction and understanding of its features, working with your intranet and learning how it best fits for you should feel easy and natural. Just like you learned how to use email or countless kinds of social media without detailed training or instruction, the right intranet for your company should be clear and easy to understand right from the start. If your intranet doesn’t feel natural, especially when you are learning how to use it, it’s not very likely to last. In addition to a system that works your style, you need to be aware of potentially shady or unusual fine print. 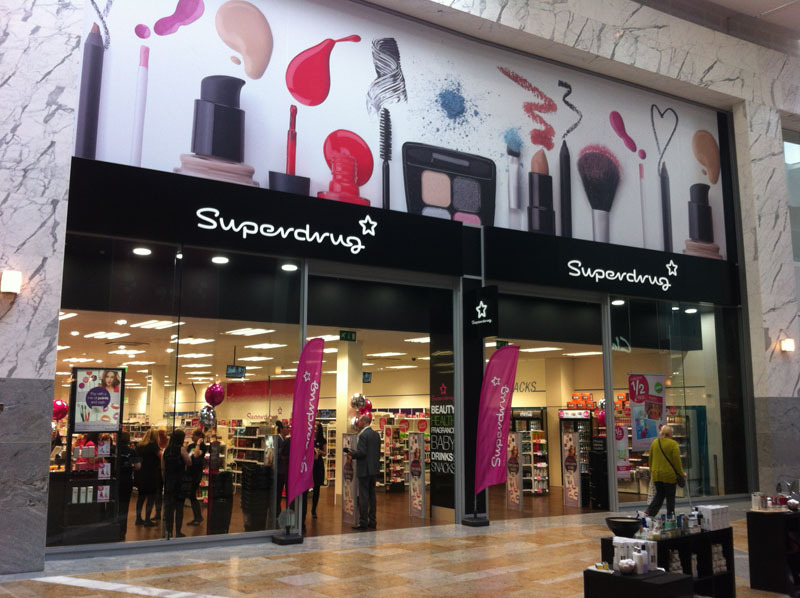 Vendors at times try to disguise information, making a great looking service turn into something completely different. We all know the frustration of a “free” app or a phone providers “encouragement” to upgrade. That’s not the kind of nonsense you should be dealing with in your intranet. Read your contract terms carefully and listen to your intuition about what seems right. In order for an intranet to be effective, it has to integrate easily with the products you already use. Intranets are designed to be a one-stop-shop of sorts for all of your company’s internal needs. If you still have to access multiple programs and platforms to communicate and collaborate with your team than the whole point of an intranet is being defeated. Your intranet needs to either work with, incorporate or replace your existing methods of sharing, collaborating and communicating information. A useful intranet should also be as customizable as your company needs. Do you have a habit of personally tailoring everything, is software customization important to your brand and your work process? Or is software something that you like as is? You want it to do the job right out of the box and not worry about the little details. While neither approach is wrong, it is important that you intranet works how you do and offers you the freedom, or lack thereof, that you need. While certainly not the most interesting aspect of choosing an intranet vendor, company budget is probably the most important factor in choosing an intranet vendor or even not choosing one at all. As disappointing as it may be, a budget is often the sad fact that brings our dreams back to reality. Even the most beneficial tools, services, and innovations are sometimes just out of our reach because of budget. It is incredibly important to keep a clear head when considering vendors and find the best tools that won’t break the bank. If you find yourself having to settle for a package, service or vendor that’s not exactly what you wanted, don’t worry. You may need to compromise now but knowing what you really want is not only incredibly motivating but have a clear plan and distinct direction are key factors in future business success. And once you are ready to work with that exciting new intranet vendor, chances are pretty good that their products will be even better. Part of your success with intranet vendors comes from their own experience with your business and industry-specific needs. Take some time to look into their similar experience. Have they worked with clients like you before? Are they familiar with your unique challenges? Do they have a specialty? While specialties and specific experience might not be a deciding factor alone, it can contribute to an overall decision. And sometimes an outstanding vendor with great products and services just isn’t a good fit for your business. And of course, a good intranet vendor needs to have a strong customer service culture as well as the knowledge and know how to handle questions and concerns. Before you commit, try to have at least one experience with your potential vendor’s customer service team. Ask them any questions you have as well as what to do in a few plausible problems and scenarios. Having a least a little experience with customer service gives you a window to what your future encounters with the company will be like, especially when trying to resolve a concern or fix an issue. The final factor to consider before settling on an intranet vendor is the potential impact of your actual relationship. Every business has its own specific set of values and personality and who you choose to associate with will say a lot about your own business. Even if a vendor provides outstanding intranet, it is important to consider how you will be perceived for associating with them. A business’s brand and company culture will also typically give you a good idea of what working with them will be like. Ideally, a successful business with services you enjoy will have a helpful and positive company culture and reputation but unfortunately, that is not always the case. It is important for both the success of your business relations as well as the continuous improvement of your own business reputation to take a little time and evaluate the potential side effects of associating with a specific intranet provider. Feelconfidentdent and comfortable with the company is critical to success. Choosing an intranet vendor is an important step for your business but it doesn’t have to be intimidating. With a little forethought and some simple evaluation, you’ll be sure to find the perfect vendor. At MangoApps, we understand the importance of combining useful tools with outstanding service and are committed to offering our customers the best intranet products with the best possible experience. Contact one of our representatives today to learn more about how we help businesses increase their communication, collaboration, and productivity or schedule a demo of our outstanding intranet services.